The Facebook Video Greasemonkey script just got more useful. 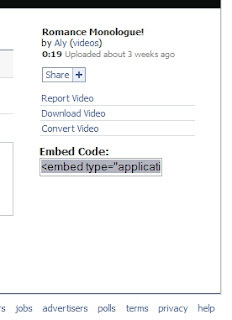 Not only can you download Facebook videos to your desktop, you can now embed them easily anywhere on the web. This is something that Facebook explicitly wanted to prevent users from doing, but you can do it anyway. The script adds an extra box below the download link that is pre-filled with the necessary HTML code to embed a video. As always, if you need help with Greasemonkey, check our user guide.